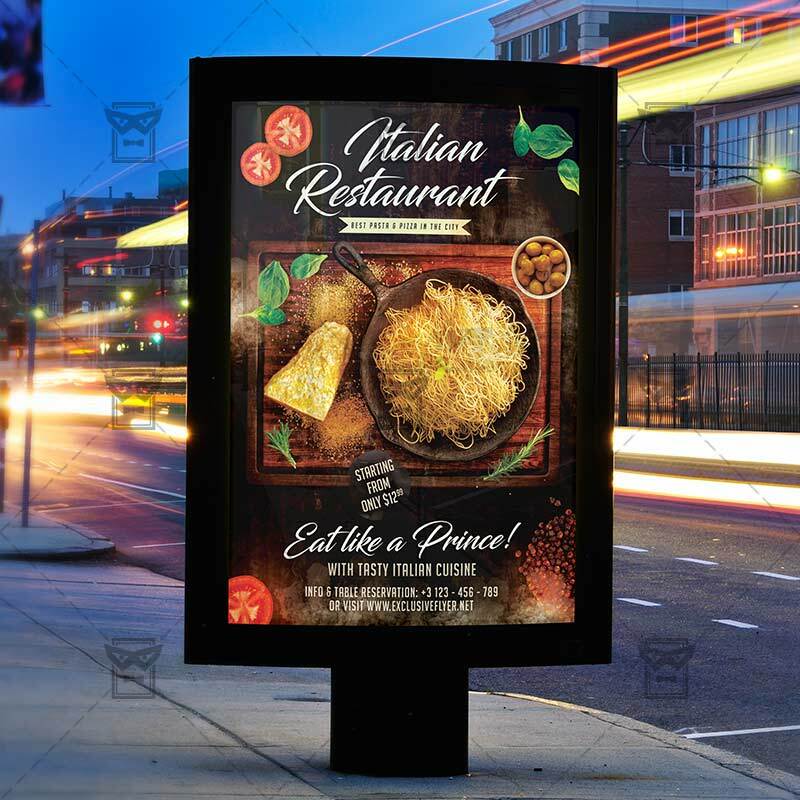 The Italian Restaurant is the exclusive Photoshop PSD flyer template designed by ExclusiveFlyer to promote your Italian Restaurant. 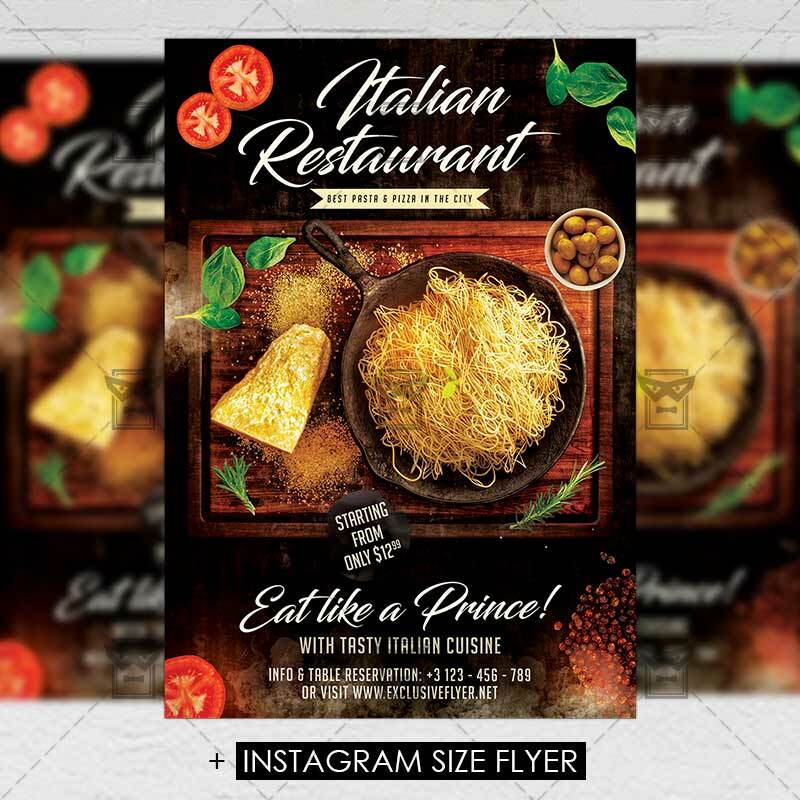 This is a modern, stylish flyer and just be used for Pasta Happy Hours, Pizza Fest, Italian Cuisine, Food Promo etc. SKU: 0.1547. Categories: Business, Food Flyers. 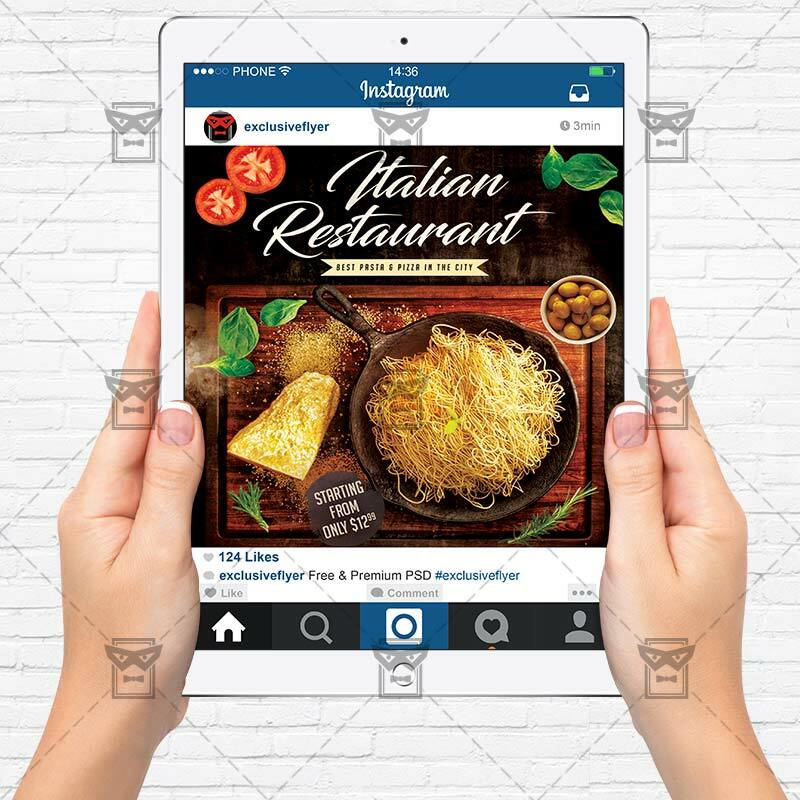 Tags: food, food promotion, italian restaurant, pasta, pasta promo, pizza, pizza promo, tasty food. The Special Burger is the exclusive Photoshop PSD flyer template designed by ExclusiveFlyer to promote your Special Burger Flyer. This is a modern, stylish, white flyer and just be used for a Burger Food or Hot Food or Chicken Food etc. 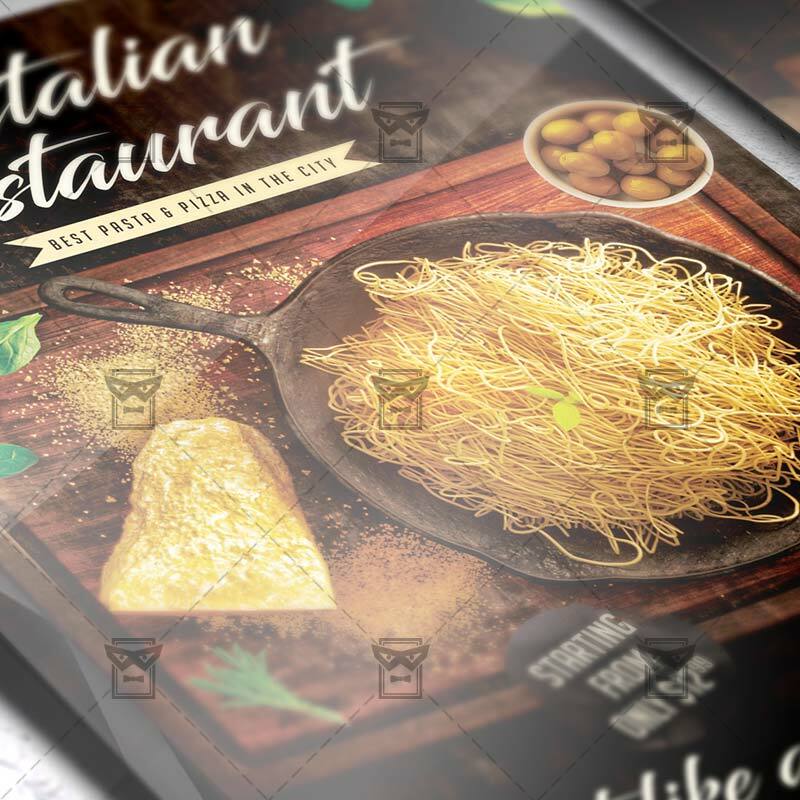 The Hot Pizza is the exclusive Photoshop PSD flyer template designed by ExclusiveFlyer to promote your Hot Pizza Flyer. This is a modern, stylish flyer and just be used for a Pizza Tournaments or Pizza Competitions.